Selectively cross-bred in 1948 by Czech breeder Frantisek Horak, the Cesky Terrier or Czech Terrier, named after his country of origin, combined the characteristics of the Scottish Terrier and the Sealyham Terrier for an all-round forest hunter, companion and attractive show dog. Terriers were originally bred for the sole purpose of catching vermin, as well as badgers and foxes. After 15 years of selective breeding, Horak's Cesky Terrier was first developed and has grown in popularity ever since, with initial demand provoking the interests of the secret police. The breed remains within the top six rarest canine breeds worldwide, as defined by the Kennel Club. Unlike other varieties of the Terrier family, the Cesky is characteristically more docile whilst being comparative in size, with short limbs, a fine textured coat in colour variations of charcoal, coffee brown, grey-blue, black and white, and with a compacted and muscular frame. The Cesky Terrier is not widely available from breeders yet makes frequent appearance at dog shows, being considered a particularly pleasant-looking breed. Regular grooming, bathing and trimming is required with the Cesky Terrier in order to maintain the condition and appearance of its coat, rendering this a relatively high maintenance breed choice. Non-aggressive by nature, the Cesky Terrier is a calm and affable breed, though can often display reticence around strangers. Energetic and fun-loving, the Cesky makes a great addition to the home setting, well suited to an active family lifestyle. The Cesky Terrier weighs an average of 6-10 kg, depending on its gender, and has a life expectancy of roughly 12-15 years when appropriate care is shown. Most Cesky Terriers will have the hair on their body and tail clipped, whilst the 'furnishings' on the face and lower legs will be left long. 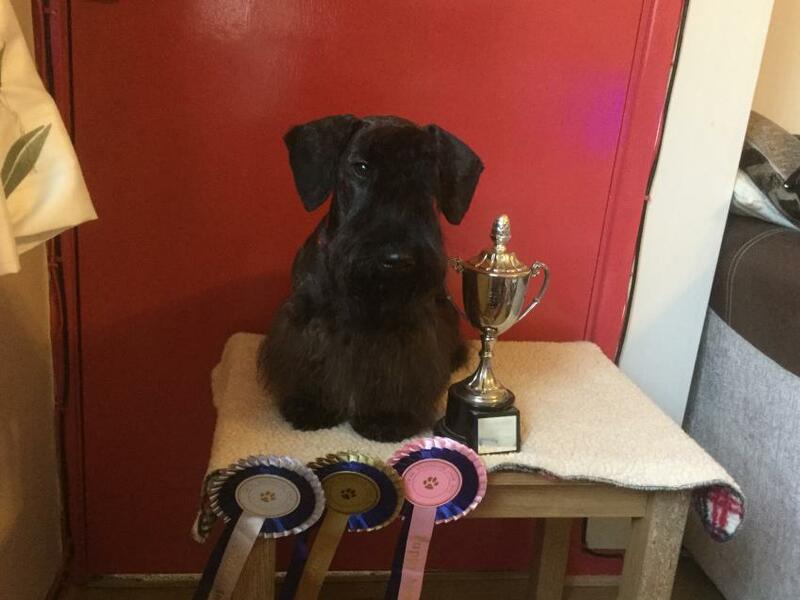 Whilst the Cesky Terrier is a relatively hardy breed, there are many documented cases of health afflictions relating to joints and thyroid specifically relevant to the breed, as well as cardiac disease and eye disorders. No common genetic afflictions are noted. Do you own a Cesky Terrier? Let others know what they're like!